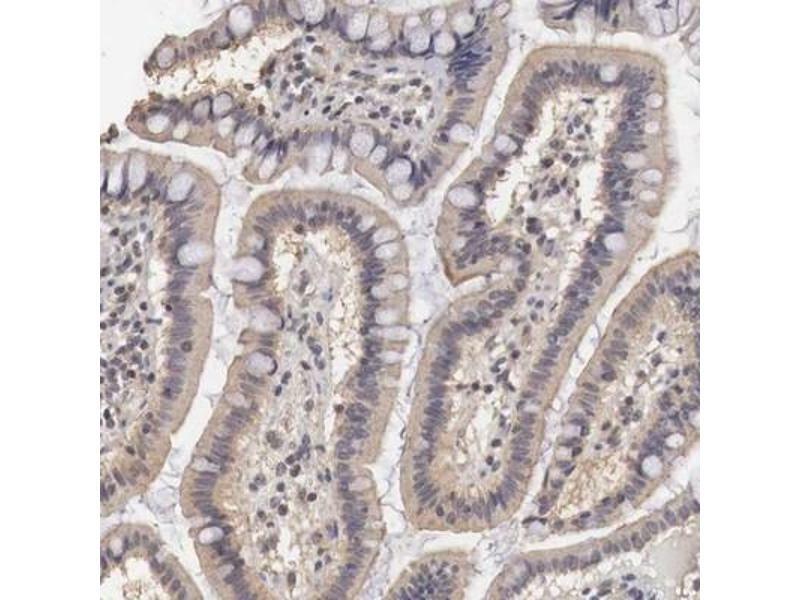 Immunohistochemistry-Paraffin: CCNB3 Antibody [NBP1-89475] - Staining of human small intestine shows weak cytoplasmic positivity in glandular cells. 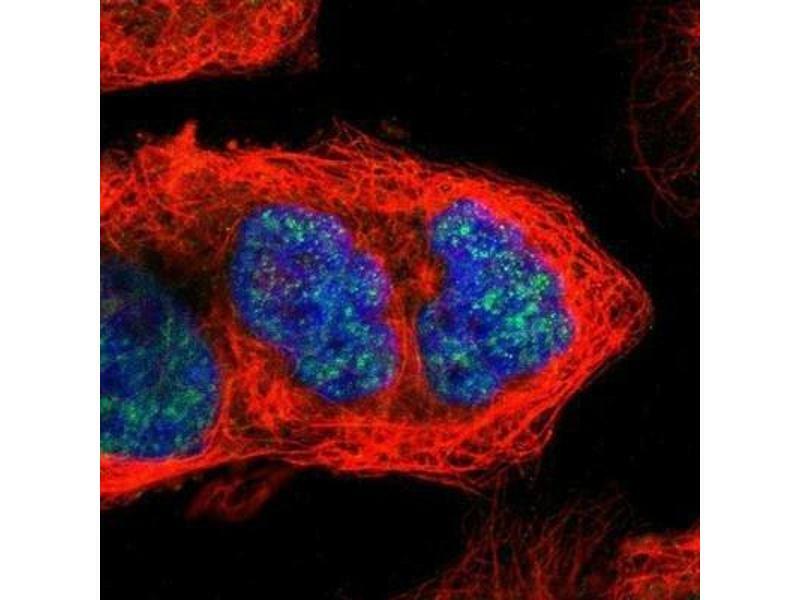 Immunocytochemistry/Immunofluorescence: CCNB3 Antibody [NBP1-89475] - Staining of human cell line A-431 shows positivity in nuclei but not nucleoli. 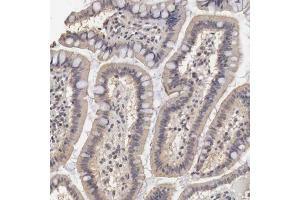 Immunohistochemistry-Paraffin: CCNB3 Antibody [NBP1-89475] - Staining of human testis shows nuclear and cytoplasmic positivity in seminiferous ducts. 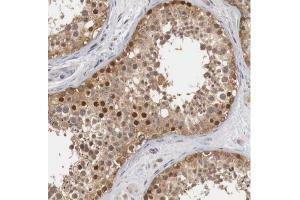 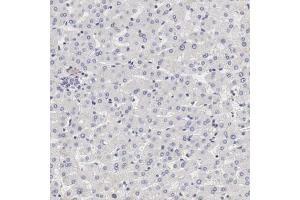 Immunohistochemistry-Paraffin: CCNB3 Antibody - Staining of human liver shows no positivity in hepatocytes as expected. 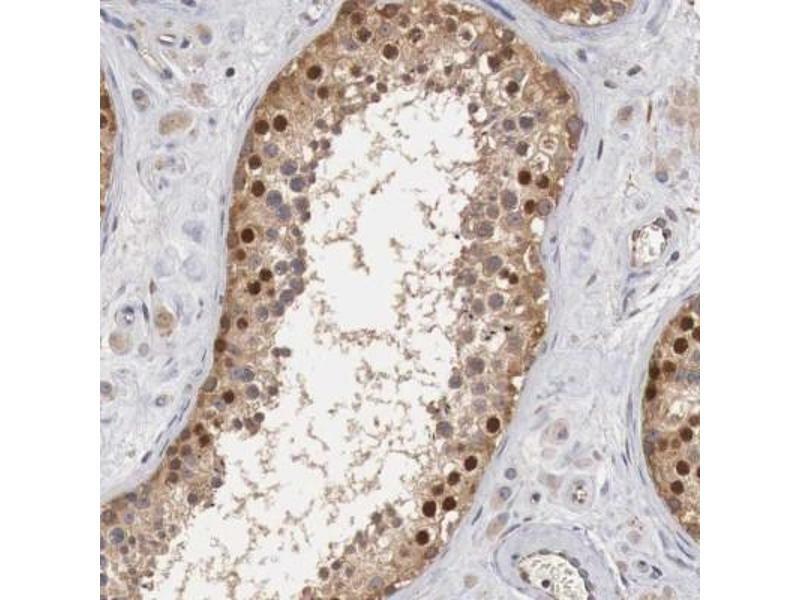 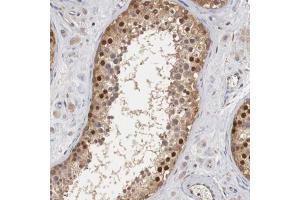 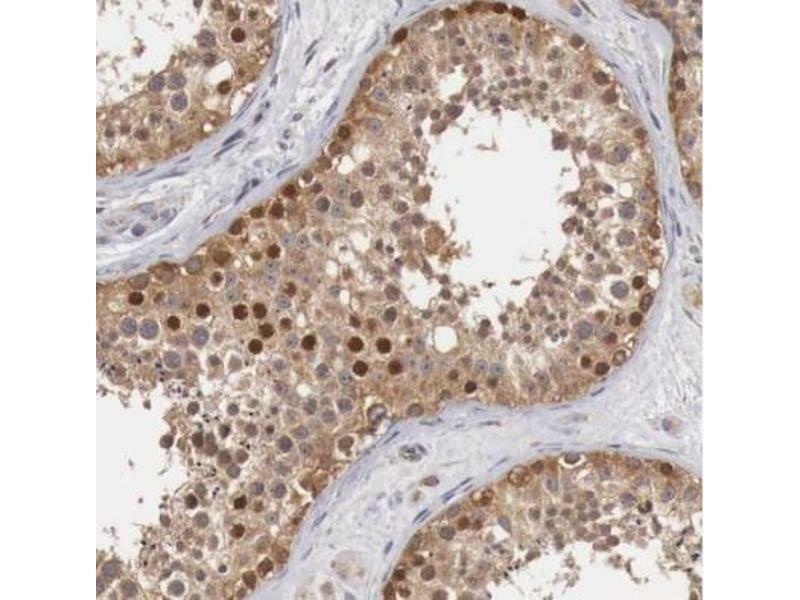 Immunohistochemistry-Paraffin: CCNB3 Antibody - Staining of human testis shows strong nuclear positivity in a subset of cells in seminiferous ducts. 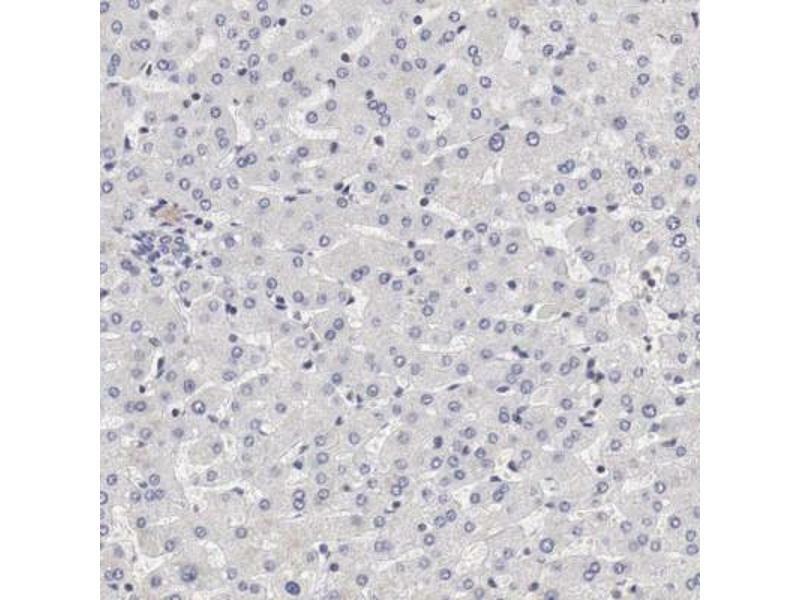 Indications d'application Immunohistochemistry 1:10-1:500, Immunocytochemistry/Immunofluorescence 1 - 4 μg/mL, Immunohistochemistry-Paraffin 1:200-1:500For IHC-Paraffin HIER pH 6 retrieval is recommended. IF fixation permeabilization: PFA/Triton X-100.